Every landlord wants an ironclad lease agreement, yet it’s equally important that the lease be fair. If the lease goes too far, not only is it unenforceable, but the landlord may have to pay for violating consumer protection laws. The problem stems from the fact that it is landlords who draw up these agreements, so landlords, therefore, have the ability to stack the lease provisions in their favor. Unfortunately, if the lease is unfair, the landlord may suffer in the long run. There are many examples of these provisions, which can range from attempting to shift the duty of habitability to the tenant to charging the tenant for routine repairs. While each provision must be viewed on a case-by-case basis, the word “any”, as in “any and all” or “any … whatsoever” can be a red flag that your lease is flawed. Generally, broad or sweeping language that purports to place all the responsibility for the condition of the property on the tenant, or anything that would take away a tenant’s right to dispute liability may not be enforceable, even if the tenant agreed. It’s important to keep in mind that, should the lease provisions be found unconscionable, it doesn’t matter if an individual tenant was harmed. The fact that the language is in the lease can still cause legal problems for the landlord. Fees and other charges that are included in the lease agreement must align with the spirit as well as the letter of the law. It doesn’t matter what a fee is called, or whether the tenant initially agreed to it. Late fees are one of the more troublesome items in a lease. Often, the maximum amount that can be charged is capped by statute. There is no way to get around that cap. So for instance, stacking the fee each month it is not paid could be illegal. The same is true of renaming a late fee. For example, if late fees are capped at $40, the landlord cannot increase the rent by $50 per month and then offer that same “discount” should the tenant pay on time. A penalty is a means to deter specific conduct, whereas a fee is designed to cover actual losses. Private persons are not allowed to charge penalties. So, while some fees are legal, such charges cannot amount to a penalty or fine. Sometimes a lease will include a liquidated damages clause that is designed to anticipate the landlord’s actual losses for a tenant’s actions. If the estimate is substantially higher than the actual out-of-pocket losses, it could be construed as a penalty. An example would be charging $500 to a tenant who allows a guest to stay beyond the days specified in the lease, but where there is no resulting injury. Another example may be charging an increasing fee for lockouts in order to “punish” the tenant for being careless when the cost is the same for each lockout. When determining whether a lease is unconscionable, one single fee or charge is not the only focus. The overall sense of fairness comes into play. For that reason, a litany of small charges can have the same negative impact as one enormous penalty. Not only are these penalties unenforceable, but this lease language may violate local consumer protections statutes, giving rise to monetary judgments, and in some cases, a fine of three times the actual damages. In addition to the rental regulations, landlords must follow the language of the lease and cannot add fees or charges through unilateral amendments during the term of the lease. Interest, compounding fees, and attorneys’ fees and costs must be allowed by local law in order to be included in the lease agreement. Landlords should avoid blanket or “standard” charges when a tenant exits the unit. Examples include a mandatory carpet cleaning charge, flat fee charges for removing forgotten items, painting fees and so on. Security deposit deductions are the most common reason for lease disputes. As such, this area of property management is heavily regulated. Simply stated, the tenant cannot be charged for costs the landlord did not incur, damage the tenant did not cause, or normal wear and tear of the property. Deductions must be taken on a case-by-case basis. Any of these problematic provisions should be eliminated from the lease because bad language erodes a landlord’s credibility should there be a dispute. 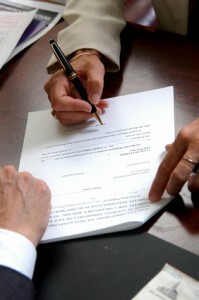 Be sure to consult with your attorney when modifying your lease agreement. Very well written. In Massachusetts many lawyers advise landlords not to take security deposits and forget about late fees in Mass.